What can I say? I liked this episode for the development of Kaori’s and Tokage’s relationship. Learning about Kaori’s important person on the other hand…that kind of fell a little flat. We open with Tokage finally finishing his last box of soy milk. This makes Sota both happy and nervous. Is it done properly so he can get what he wants? Now I’m curious to know just what Tokage was drinking soy milk for everyday to get Sota. Enter Kaori who is complaining as she still hasn’t found the one she is looking for. Yanagida also reveals he has found nothing as well. This really catches Tokage’s attention when Kaori implies this is a very special someone. Kaori then hangs a charm on the wall and prays. Tokage chides her for not hanging it properly and straightens it. Sota then prays for his soy milk prize success. Meanwhile, our police team are investigating the death of a journalist. He was pro-euthanasia so there is a possibility he injected himself with poison, but he was also writing an article on medical malpractice, so foul play cannot be ruled out. Yamane isn’t too happy that Kishimori wishes to send in Tokage solely because of Terashima’s reactions every time, but Kishimori doesn’t care as long as an arrest is made. 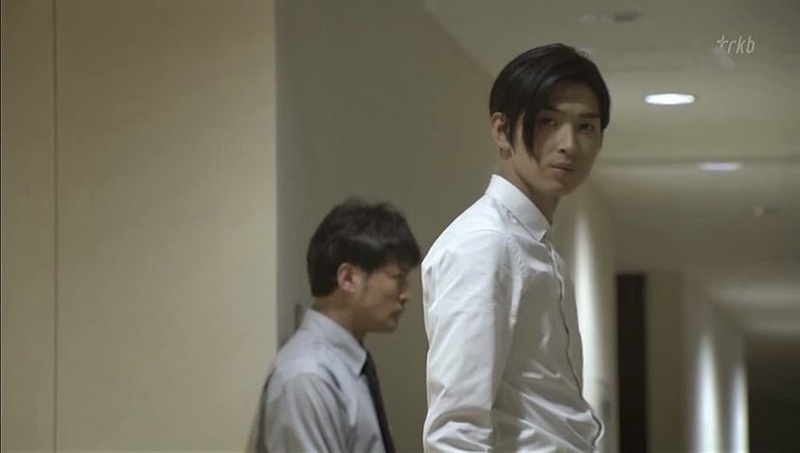 Besides, every time Tokage gets involved, Terashima works that much harder to solve the case. 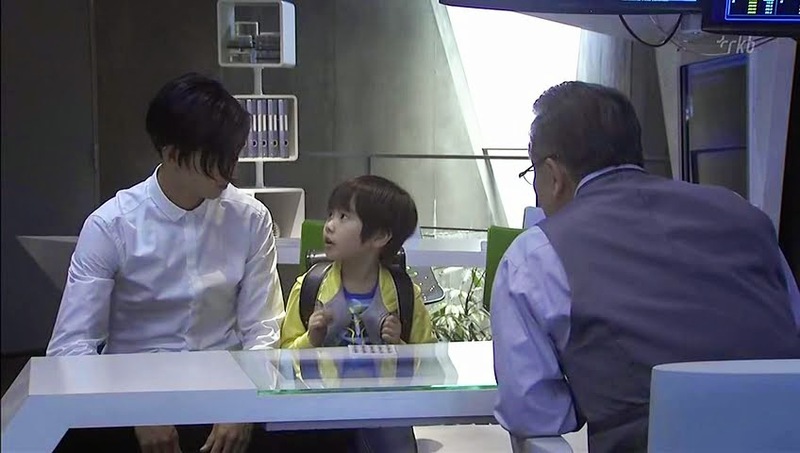 We cut to see Makihara watching Sota on his way to school and flashing back on seeing Tokage play happily with the boy. She then goes to a restaurant for some sake and runs into Kaori who is getting drunk. The girl is depressed and asks for Makihara’s advice on her problem. We then learn that she met a man a year ago when she was working at a bank. She chased him down to return his savings book. He then became her very first boyfriend. They were together until three months ago when he mysteriously disappeared. 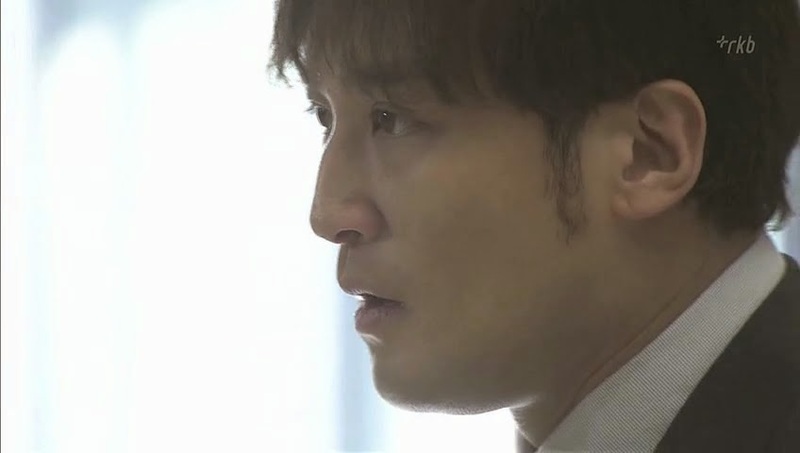 Kaori fears he is dead, but Makihara says it’s really evident that Kaori was dumped. Kaori doesn’t wish to believe this. So now we know who she’s searching for. Tokage is going undercover as an intern doctor in Hamasaki Shinjiro’s medical team. Hamasaki is known as Dr. Perfect for his 100% surgical success rate, thus he’s the #1 suspect for covering up a medical malpractice issue. Kaori goes to study up on the medical field as well, but Tokage tells her that he will for sure do this himself since she is obviously stressed out. Awww. He’s showing some concern for her. Wouldn’t you know that Hamasaki’s personality is actually quite a lot like Tokage’s true personality so the two get along rather well. Tokage gets in his usual all black get up and takes to the ceiling once more to do some extra spying on Dr. Hamasaki. 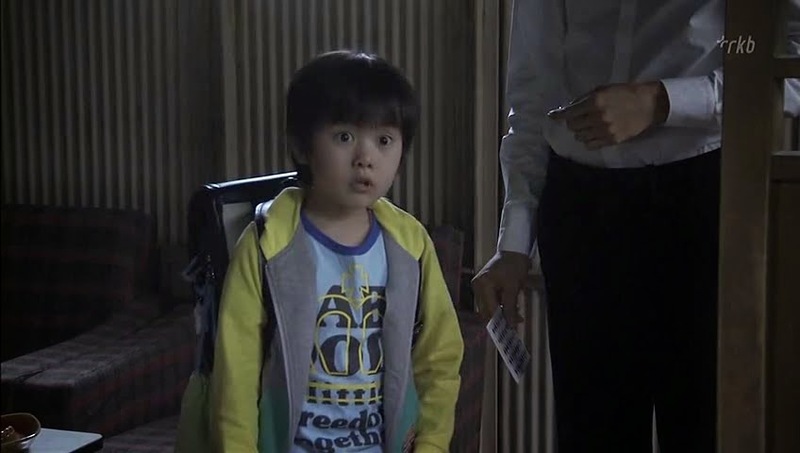 He then finds out that Kaori has gone undercover as a nurse! He isn’t pleased by this, but tells the saddened girl that it’s probably for the best. 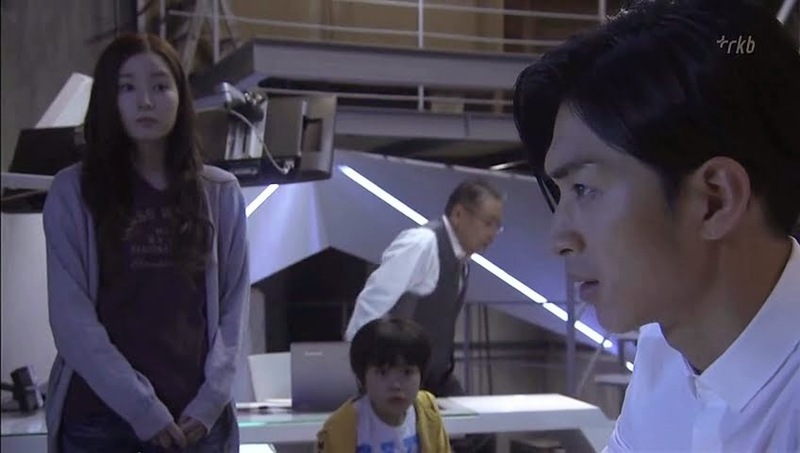 Kaori then hands over a new wiretap with a GPS so he can keep a person under complete surveillance. Tokage takes the bug and attaches it to Kaori’s collar. Cute moment. At the usual bar meeting for case updates, our two teams trade information. It looks like Hamasaki might not just be behind the reporter’s death, but also another member of his team’s. However, there is no solid evidence so both teams must work harder to find some. Terashima then wishes Kaori good luck in finding her missing lover so that she can quickly leave Tokage’s side. I don’t know why, but there are times I get this vibe that Terashima just might like Kaori and other times I think I’m just crazy. As Kaori watches over a patient name Misa who’s husband disappeared a year ago, she becomes reminded more and more about her missing boyfriend Sato Yousouke as the song Misa plays was his favorite. She also smells his cigarette smell outside the room. Her and her keen nose. Do you get where they are going with this? It definitely isn’t a surprise given all the hints they drop in this episode until the final reveal. Meanwhile, Terashima goes to an underground gambling den to get some information. He has such bad connections, too? And here he seemed so upright and adamant about using “proper” channels and methods. 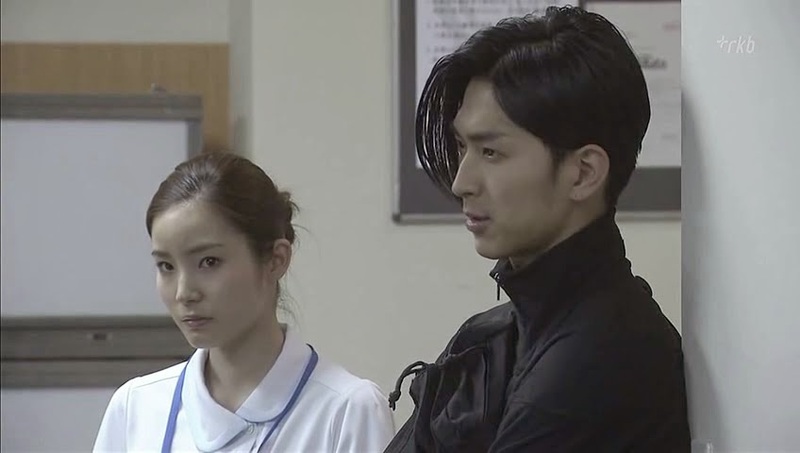 Tokage stalks Dr. Hamasaki who is watching the stranger that keeps lingering around the hospital. So we get more information about Hamasaki which will eventually help Tokage solve the case (like Hamasaki never eating or drinking anything not made by his own hand). Kaori finds out that her Yousuke is also Misa’s missing doctor husband Yousuke (he just changed his last name when he went into hiding). 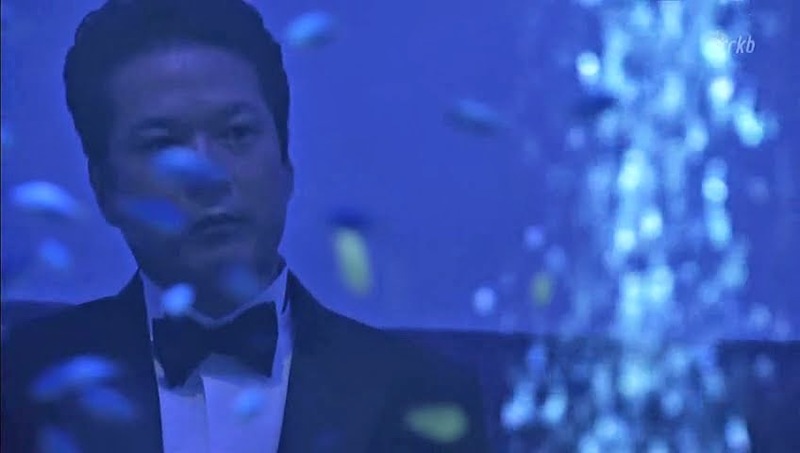 Makihara also pays Yanagida a visit to drop off the article Terashima got through his shady connections and says she doesn’t visit Sota since Sota chose that place over her. Interesting. The upset Kaori gets back to HQ and is a train wreck. She ignores everyone. She drops and bumps into stuff leaving Tokage and Sota amazed and somewhat annoyed at her attitude. Of course, you can also tell that Tokage is worried over Kaori since she found out her boyfriend was a married man involved in this malpractice case. Yanagida tells the young woman to come out with him. He takes her to where Yousuke is as Tokage stuck the GPS on him since he was acting suspiciously at the hospital. Kaori confronts Yousuke who explains he planned on starting a new life with Kaori until he learned his wife had fallen ill and the only one who could cure her was Hamasaki. The upset Kaori understands this to an extent and then tells him her feelings were real before walking away. Of course, since Hamasaki is tailing Yousuke, he saw Kaori together with him. Back at HQ, Kaori deletes all pictures of her and Yousuke off her phone. Tokage worries about whether or not she is all right, but Yanagida assures him the girl will be fine. 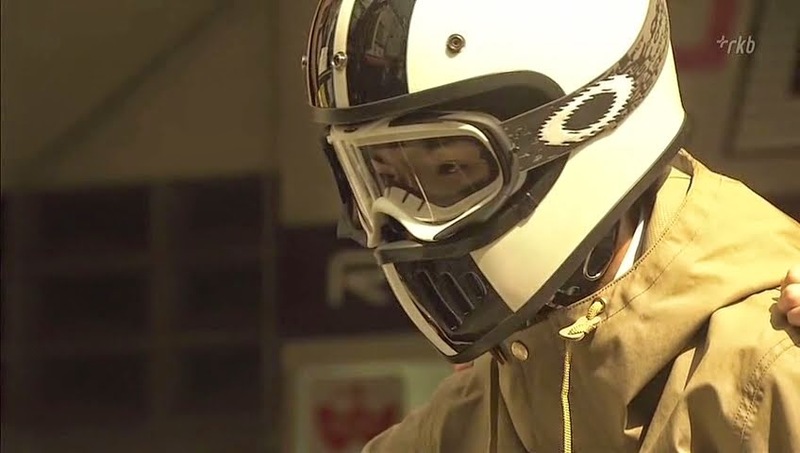 Tokage then goes out and hands her a helmet. She is touched that he is cheering her up. He tells her this has nothing to do with that, but with the case. Right. When she starts bawling, he drives even faster. The two do end up at the hospital to do casework. Kaori is back in her nurse’s uniform and drying her tears. Her job is to make sure the coast is clear as Tokage is sneaking into the chemical storeroom to check out to see if the inventory matches for the poison used. While Tokage is doing his thing and checking the list and vials, Kaori sees a guard coming back. She quickly rushes out into the hall to head off the guard despite Tokage’s protests. She hides behind a corer and meows, successfully leading the surprised guard away. Unfortunately, she bumps into Hamasaki who wonders what she is doing by the storeroom. Kaori lies that she is just lost and goes to walk away when Hamasaki asks about her connection to Yousuke. Kaori says she would rather not talk about it and walks off. This gave Tokage barely enough time to escape before Hamasaki walked into the room. Back at HQ, Tokage scolds Kaori for acting on her own and she apologizes. Yanagida then reveals that the chemical used to poison the journalist is all present and accounted for—nothing missing. Curiouser and curiouser. 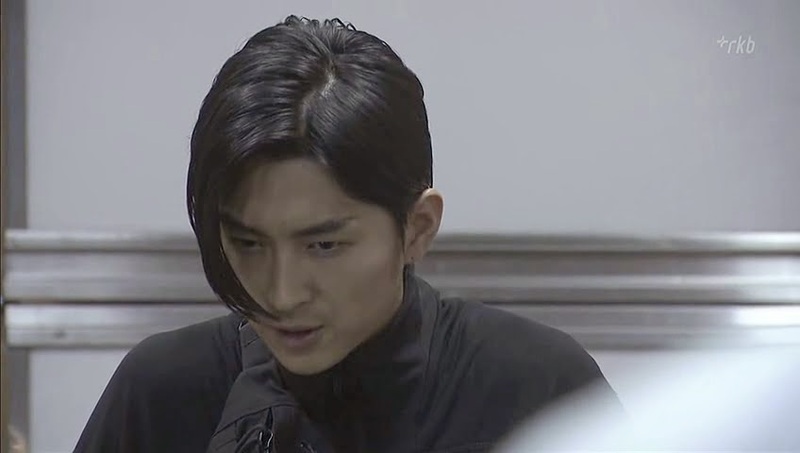 Yousuke sees the police investigating the malpractice suit (thanks to the article the journalist was writing that Terashima got his hands on using his illegal friend) and turns himself in confessing that he was the murderer, not Hamasaki. Terashima doesn’t buy this story and neither does Tokage or Kaori. 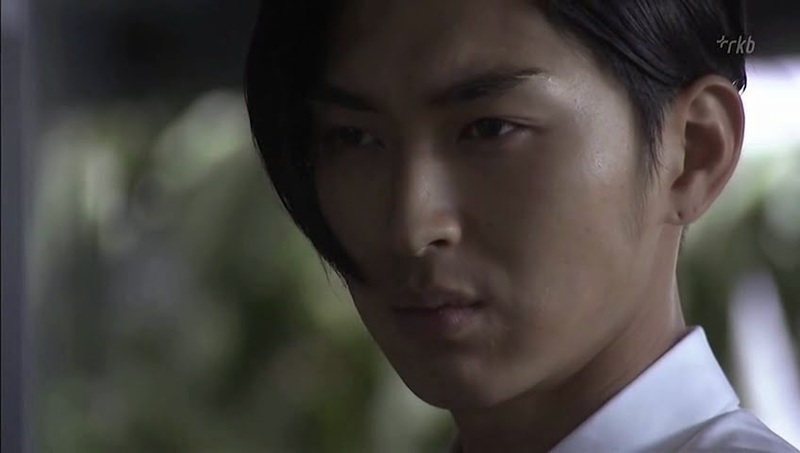 Tokage then tells Kaori there is one way to prove her ex’s innocence, but it is dangerous. So…what is it? Kaori confronts Hamasaki about the malpractice and he drugs her coffee to knock her out. He then goes to inject the poison into her when the lights go out. 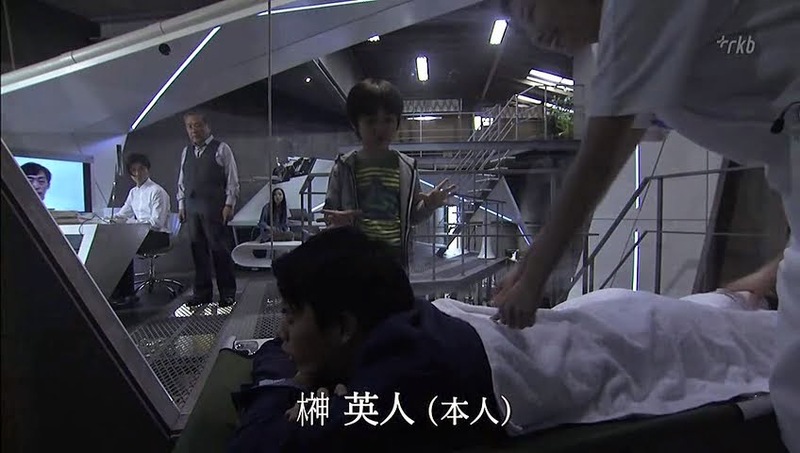 He goes an turns on the lights and Kaori is gone. He turns and there is Tokage with Kaori. Tokage has recorded the attempted murder and sent it to the police. Hamasaki claims his wrongdoings with the murders. A colleague drugged him so that he would make a mistake during an operation and this caused a patient to die. She then sold a fabricated story to the journalist. Hamasaki killed the two to save his reputation (that’s why he only ate and drank things he made himself). Enter Terashima to make the arrest. At the same time, a nurse comes in and reveals that Misa has taken a turn for the worse and needs an emergency operation. Tokage says it is Terashima’s call. Not wanting an innocent woman to die, Terashima tells everyone to lie and says the operation had already started when they arrived. 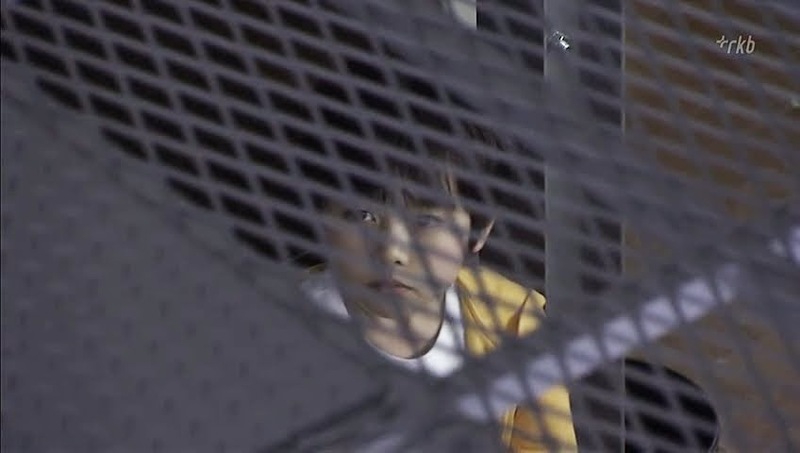 This is also after Kaori kneels and begs him to allow Hamasaki to save Misa. While the detectives wait for the operation to end, Terashima punches Tokage for using Kaori as bait. Well…Terashima does have a bit of a point, but if he saw how worried Tokage was over Kaori, he wouldn’t think that Tokage doesn’t care whether she gets hurt or not. 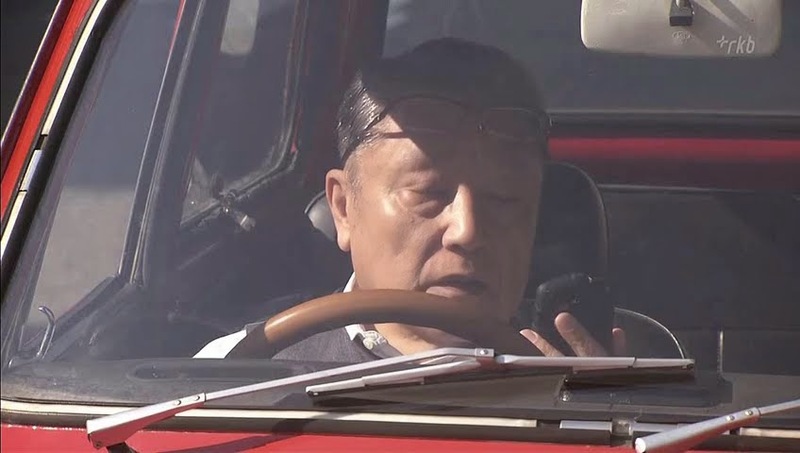 When Yamane reports all of this to Kishimori, he replies that he doesn’t care what underhanded methods Terashima or Tokage used as long as the arrest was made. Kishimori then says that it seems inevitable that the case from two years ago will be reopened. Kaori watches Yousuke reunite with Misa before heading out to bar with Makihara. Since Kaori has found her missing boyfriend, she can now leave Tokage’s side. Kaori, however, doesn’t wish to do that as Tokage is finally warming up to her and treating her more like a partner. 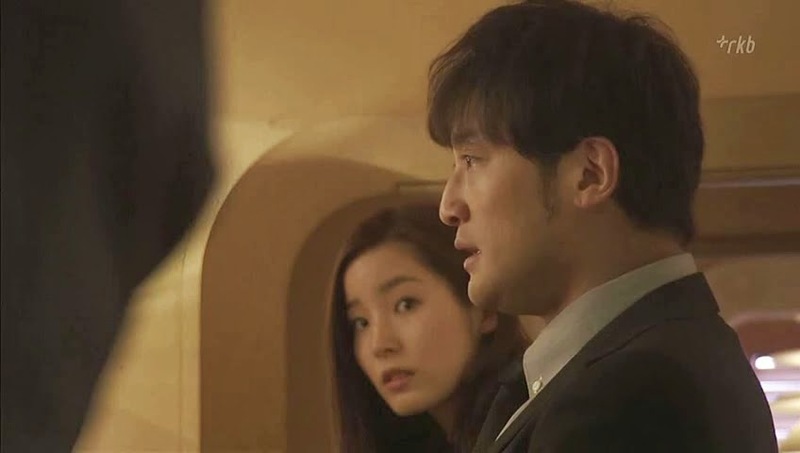 Makihara warns her not to think like that as Tokage’s previous partner ended up dead thanks to Tokage’s actions. We end with Terashima going back to the casino to get more information from his contact. He notices Tokage there gambling and asks about him. The man replies that Tokage comes in frequently of late. So…just what is Tokage doing there?